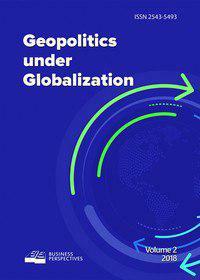 The main purpose of the journal is to highlight the trends of modern geopolitics and geopolitical consequences of changes to various recipients. The journal is reckoned on researchers, lecturers and students specializing in international relations, public administration, professionals and government agencies, supranational and non-governmental organizations. Topics covered by the journal: Geopolitics as a separate branch of knowledge, Theoretical foundations of geopolitics, Country in geopolitical relations, Geopolitical relationship with geoeconomics, Geopolitical relationship with geoculture, The impact of globalization on the geopolitical processes, Political interaction of different hierarchical levels, Wars as a geopolitical processes and military geopolitics, Geopolitics in the field of natural resources and ecology, Social and ethnic geopolitics, Development forecasts in international markets and political arenas.